Canada Domestic Cat Rescue View other Cats for adoption. Kendall - Rescued 2-23-16 New Video: https://youtu.be/PwDbXJMH3h0 New Video: https://youtu.be/-9bo2kFzlvs Video: https://youtu.be/3E10hbMkzEU Kendall and Kylie are sisters and Kris is their mom. Kylie is a beauty of a little girl who was spotted on a warm sunny day in July by a wonderful family wanting to help her off of the streets. 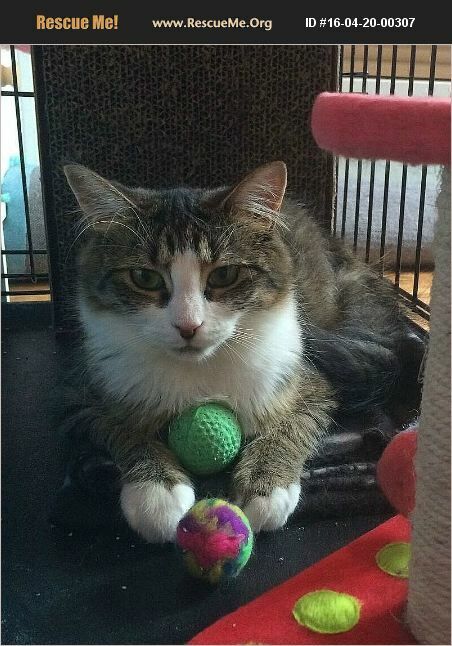 This little 8-9 month old cutie loves to play alone or even with other kittens! She was super friendly with all of the other stray cats in the area! She came around her human angel's door, rubbing her head against their window, trying to communicate with their family cats. She kept a meter distance when begging for food and treats, but came right up to eat once the door closed. The 3 of them have since been rescued together and live happily with a wonderful foster family. They have made incredible progress since February and now live and roam free range of the house! Si vous avez d'autres questions svp envoyer un courriel à IHeartMy@BellAnima.org Pour l'adopter, cliquez sur ce lien http://bellanima.org/english/en/adopt... pour soumettre une demande d'adoption. Cette étape est extrêmement importante parce qu'elle nous permet de comprendre ce que vous souhaitez, vos besoins et vos attentes envers le nouveau membre de la famille et notre refuge. Ne les laissez pas tomber, brisez le circle vicieux. Accueillez ou adoptez un animal aujourd'hui, vous aurez un ami à vie! ENGLISH VERSION If you have any questions or would like to meet Kendall, Kylie and/or Kris, please send us an email at IHeartMy@BellAnima.org To adopt please visit our website by clicking this link http://bellanima.org/english/en/adopt... and submit an adoption application. This step is extremely important for us to know who you are and understand what you want, need, and expect from your new family member and our rescue. Don't let them down. End the vicious cycle. Save a life. Foster or adopt today, gain a beautiful soul forever.